A Speedrunner, Youtuber, and a filmmaker currently looking for a job at mcdonalds. 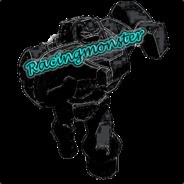 Is this the REAL RacingmonsteR! ?